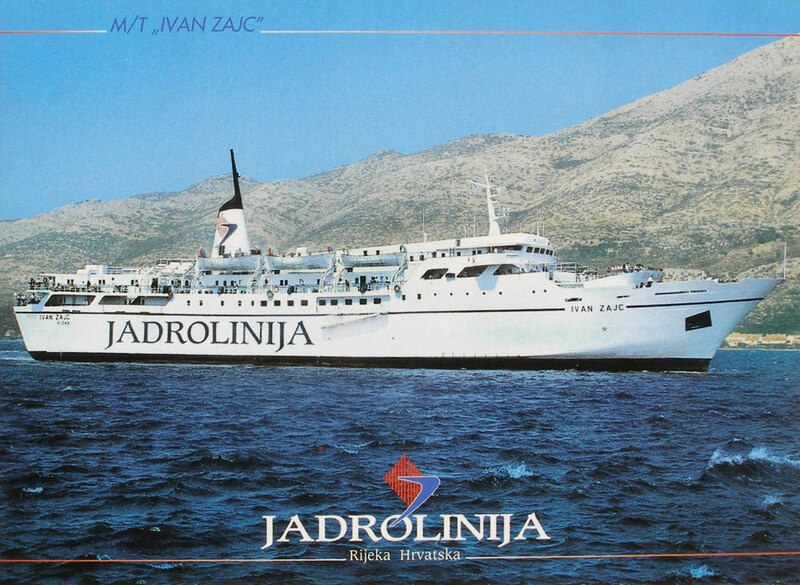 This page is one of a series devoted to passenger ship postcards of Yugoslavian state operator Jadrolinija, formed in 1947, which later passed to Croatia. 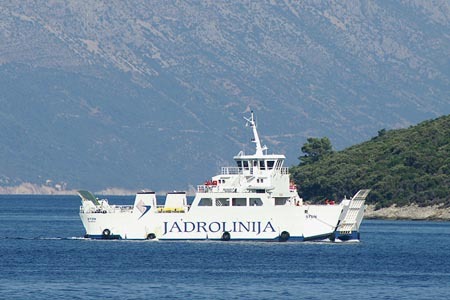 An alphabetical list of ships shown on this page is shown below. The Table beneath gives links to complete postcard history pages on selected individual ships. 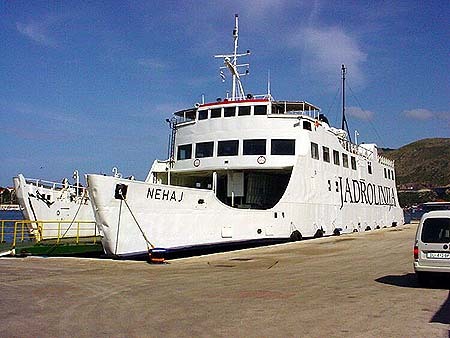 Below the table are images of the fleet in chronological order. 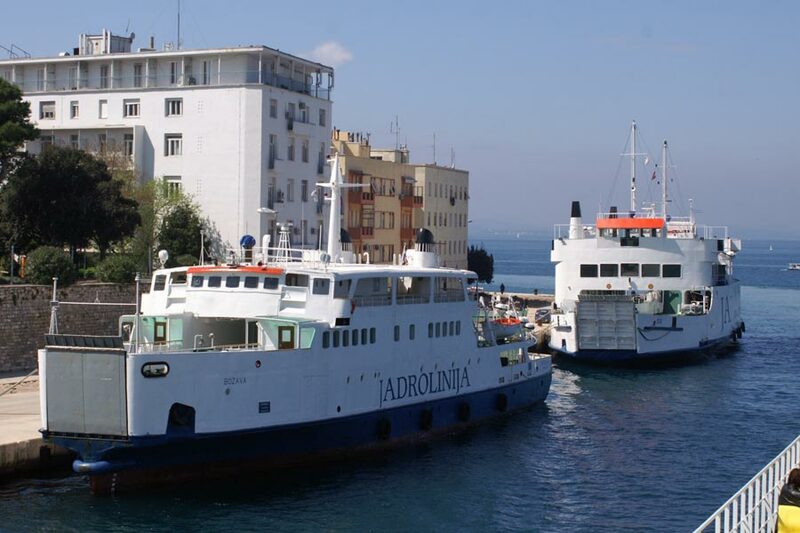 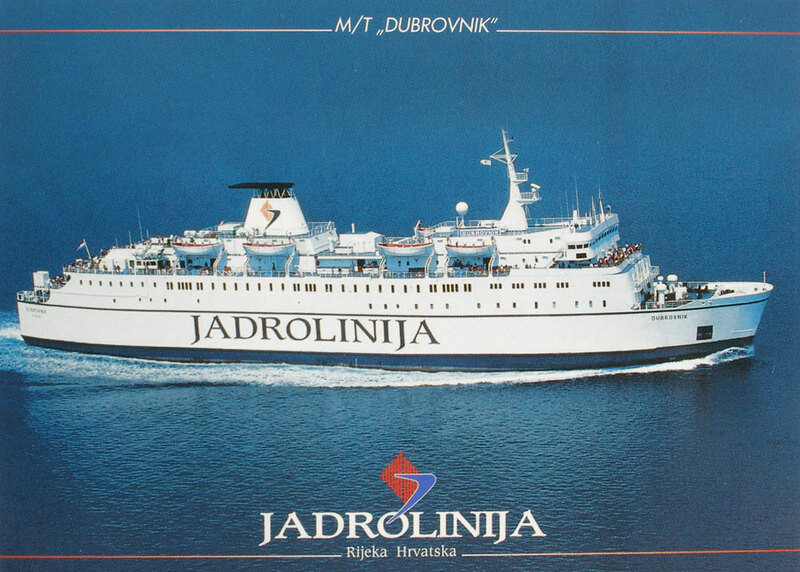 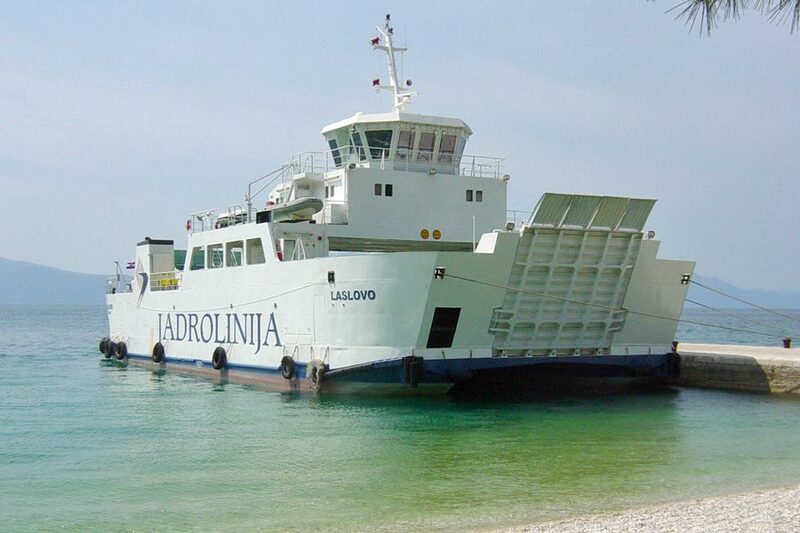 Jadrolinija Page 4 - Car Ferries 1991-1997 - This Page! 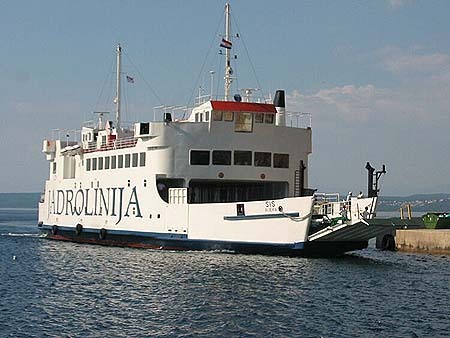 Prizna was built as FÄRJA 61/290 for Statens Vägverk Stockholm in 1970. She was bought by Jadrolinija in 1991. 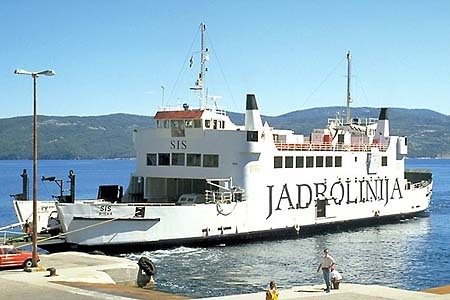 Zigljen was built as FÄRJA 62/287 for Statens Vägverk Stockholm in 1970. 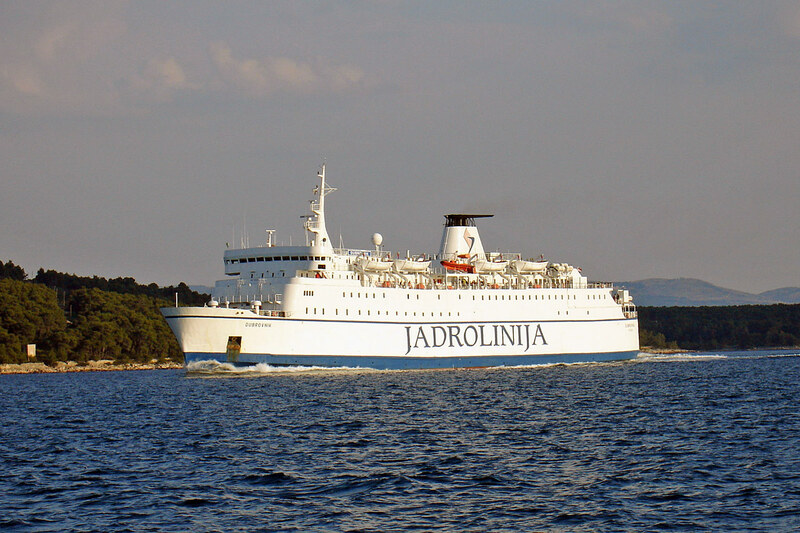 She was renamed Dobeln in 1979, and Olof Tratalja in 1990. 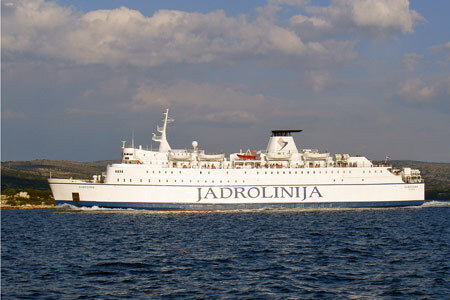 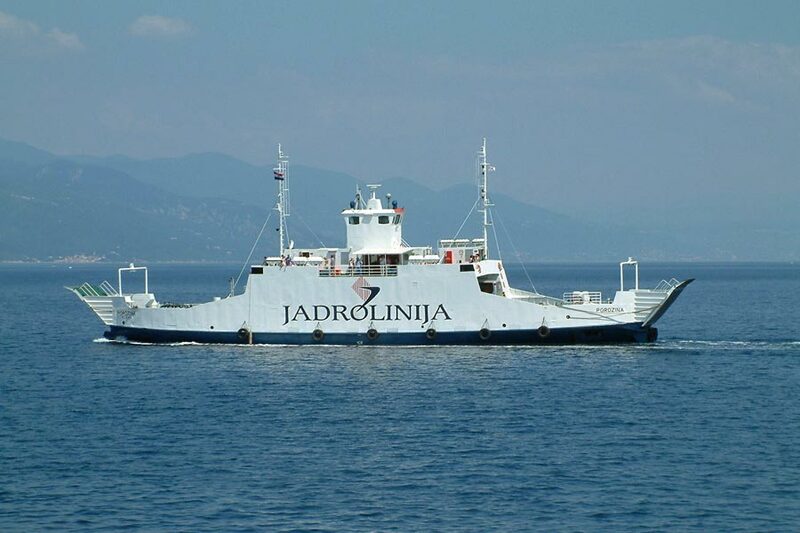 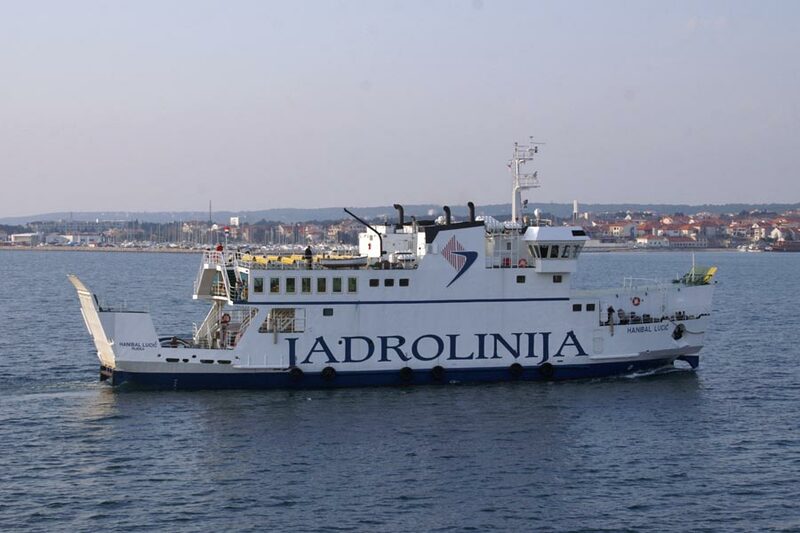 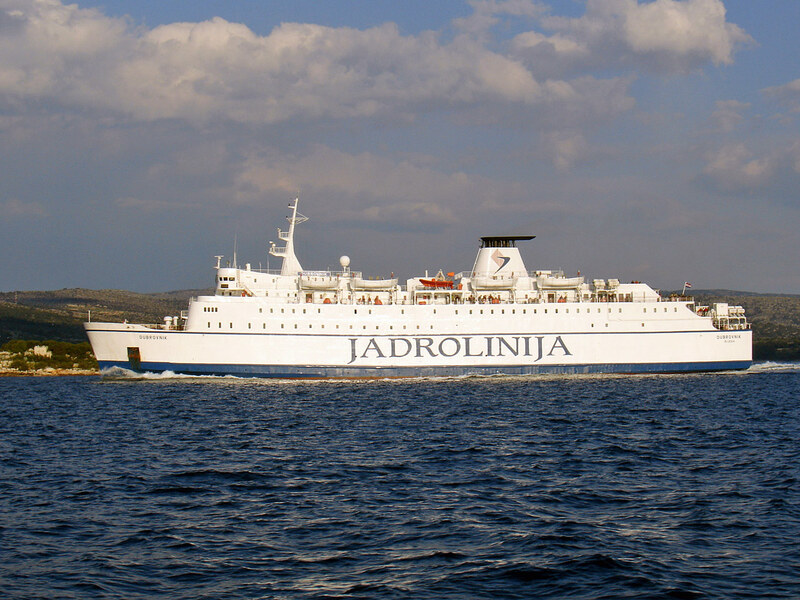 She was bought by Jadrolinija in 1992 and renamed Zigljen. 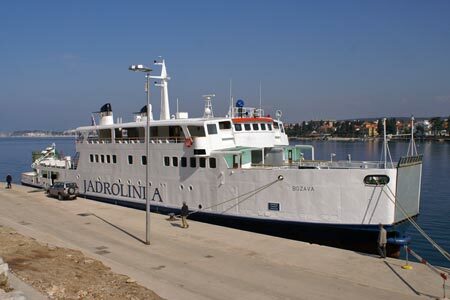 Ivan Zajc was built as Tizano for Linee Marittime dell'Adriatico, Venice, in 1970 by Cant. 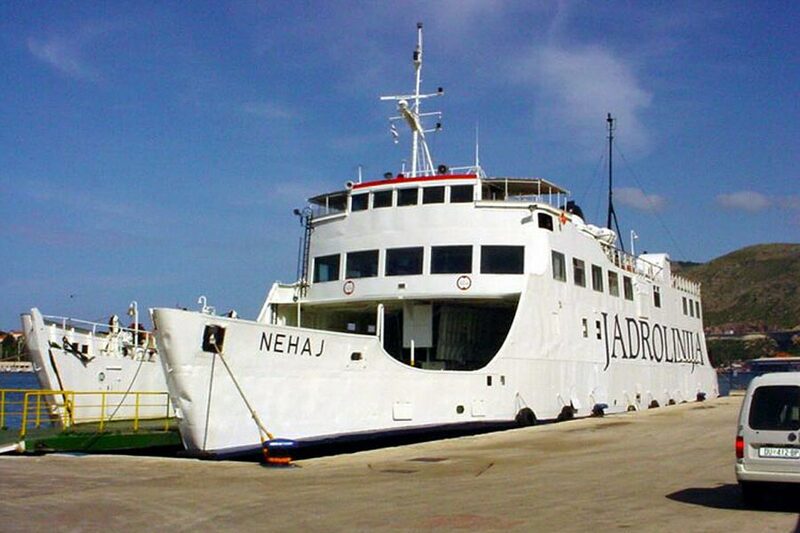 Nav. 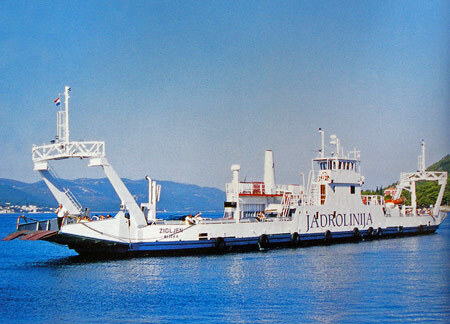 Apuania, Marina di Carrara. 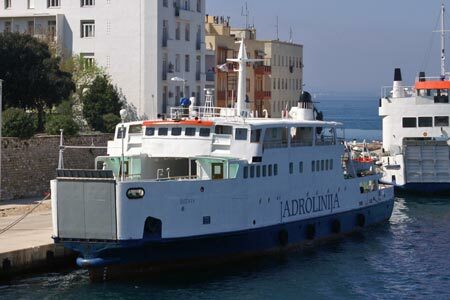 She entered service between Pescara and Jugoslavian ports. 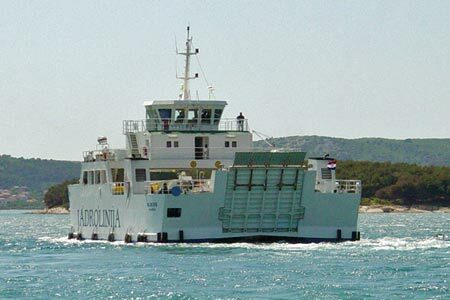 In 1980, Tizano was chartered to Adriatica di Navigazione S.p.A. followed by sale the following year, retaining her name. 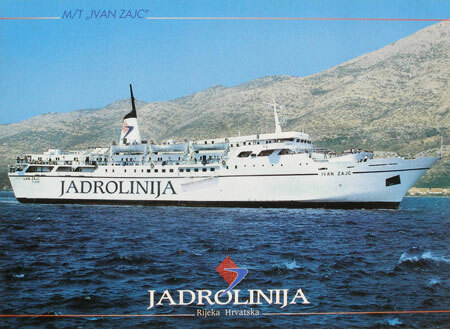 In 1994 Tizano was sold to Jadrolinija and renamed Ivan Zajc. 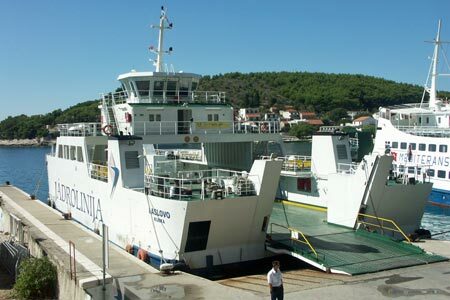 She has generally worked from Ancona to Zadar or Split. 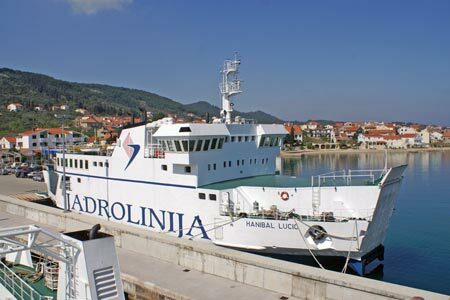 In 2009, Ivan Zajc was sold to Tukish owners for 850 000 Euros. 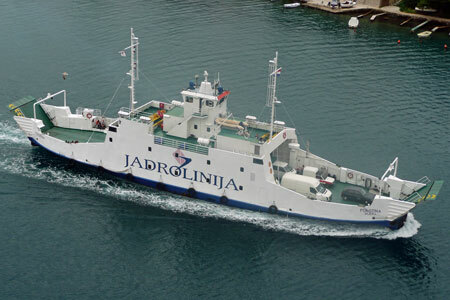 New registered owning company is Ziganoy Shipping of Panama from April 3rd 2009. 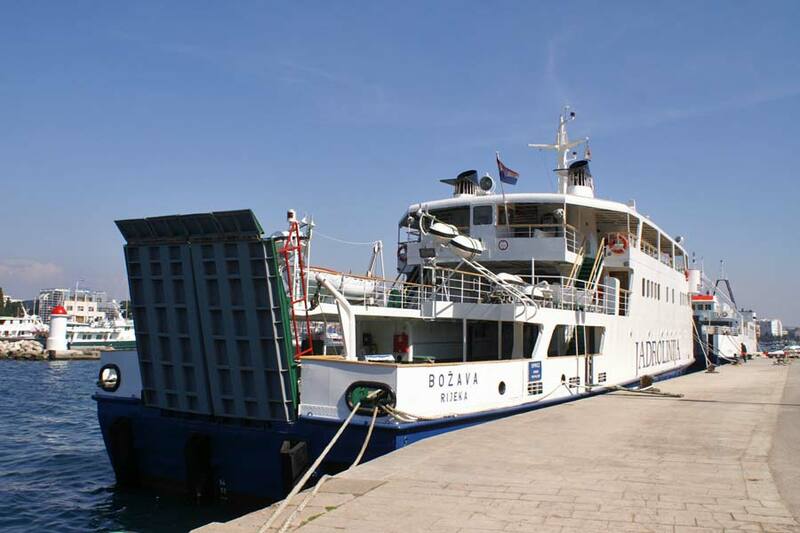 Bozava was built in 1966 as the Teulada for Sardegna Regionale Marittima S.p.A. Cagliari, for service from Palau to La Maddalena. 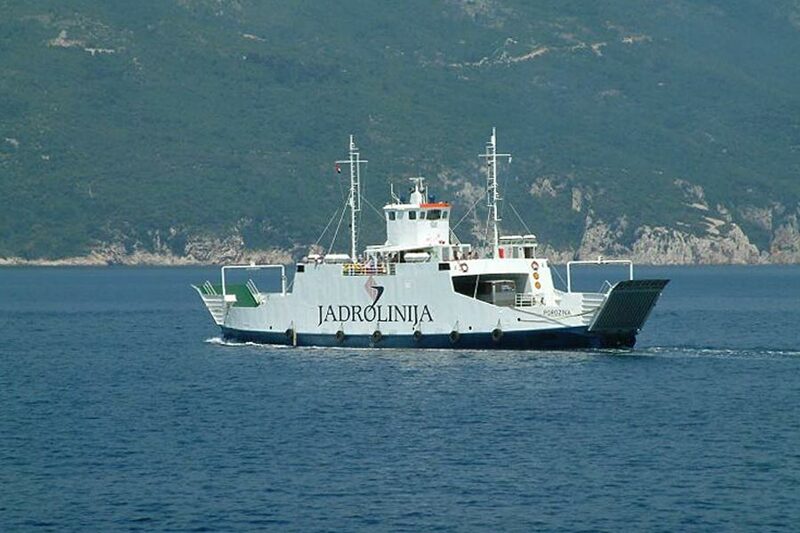 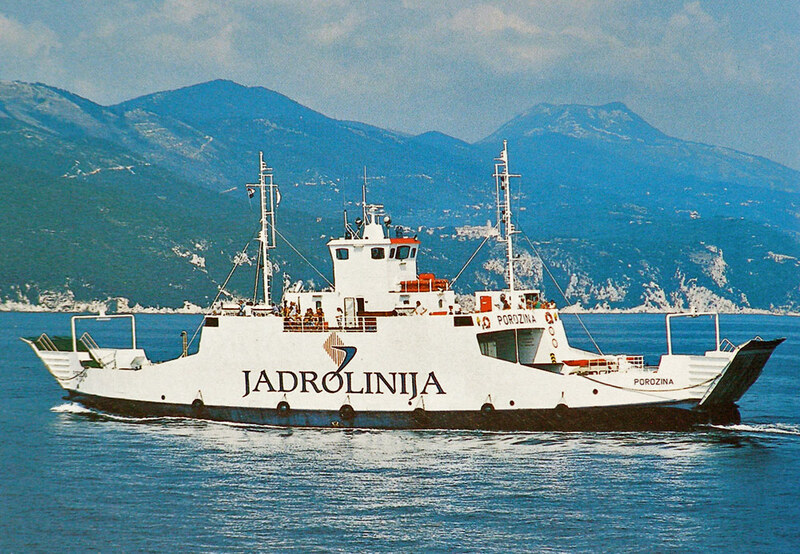 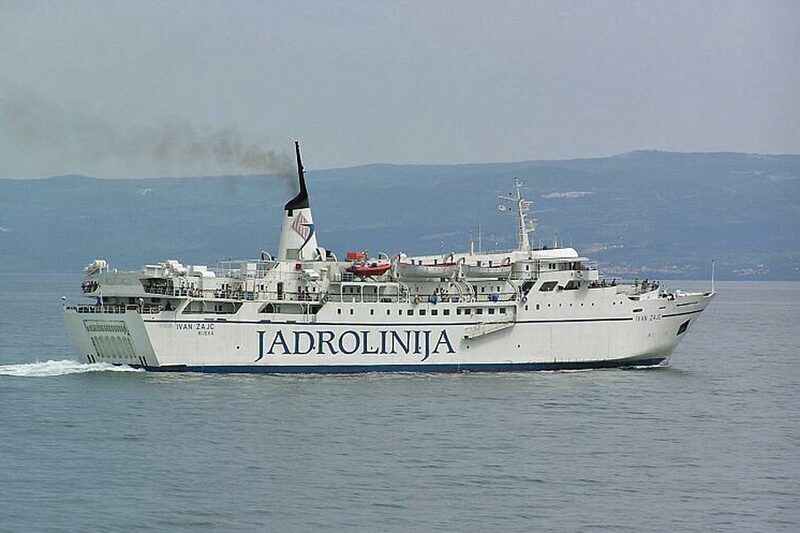 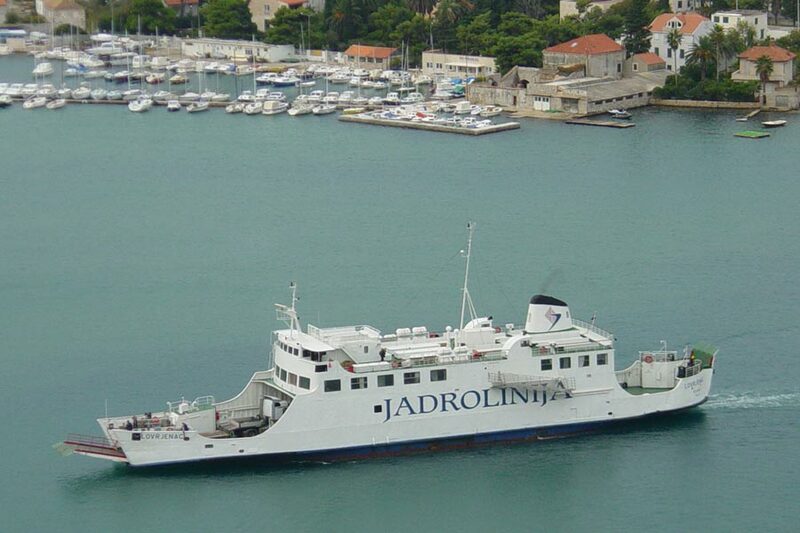 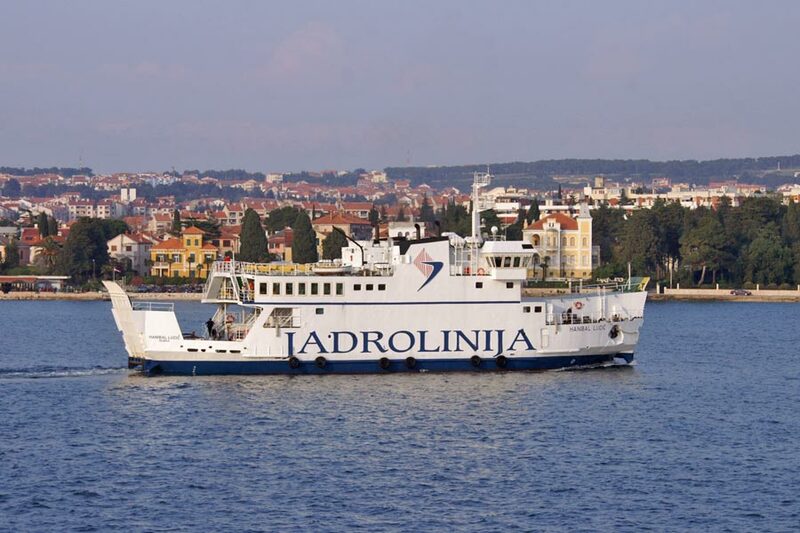 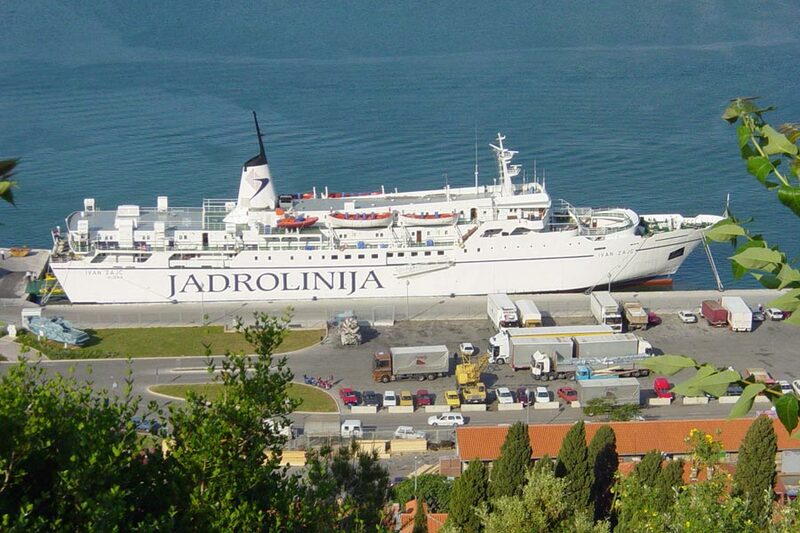 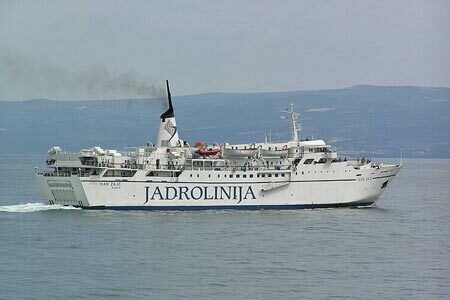 She was acquired by Jadrolinija in 1993 and renamed Bozana for use on the Zadar-Branj-Rava route. 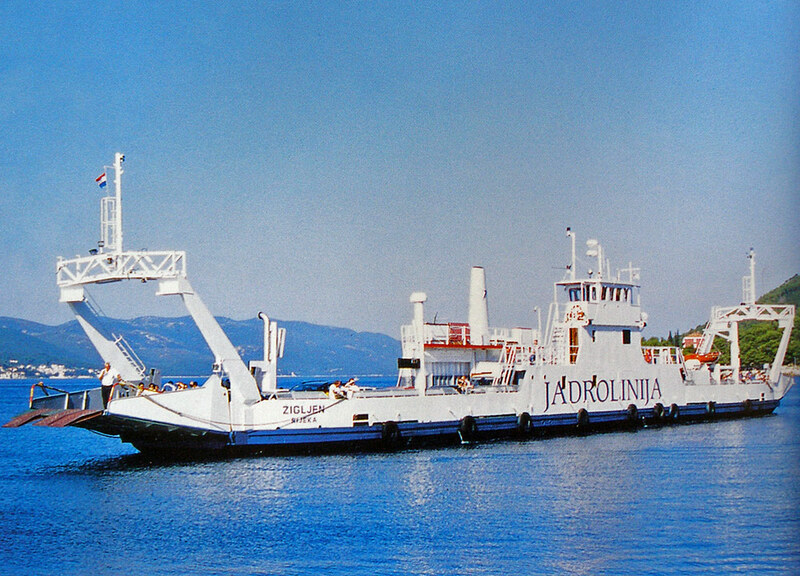 Porozina was built in 1971 as Esefjord for Norwegian local ferry company Fylkesbaatane i Sogn og Fjordane. 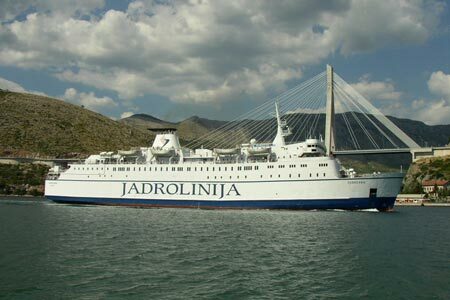 She was sold to Rutelaget Askøy-Bergen A/S, Bergen, in 1991 before passing to Jadrolinija in 1993 and renaming her Porozina. 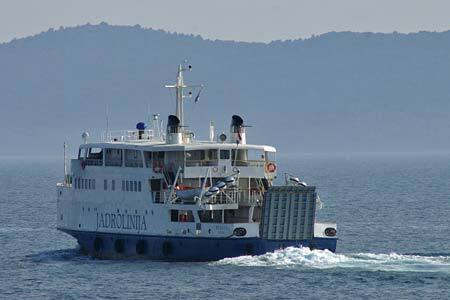 Norris Castle (3) was built by Thornycroft & Co, Southampton, in 1968, for the Southampton, Isle of Wight & South of England Royal Mail Steam Packet Co. Ltd. She entered service between Southampton and Cowes (Isle of Wight). 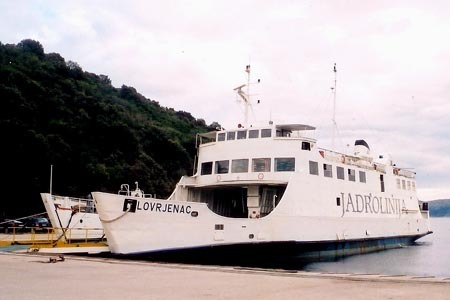 Norris Castle (3) had a smaller area of passenger accommodation than her predecessors to allow greater freight capacity. 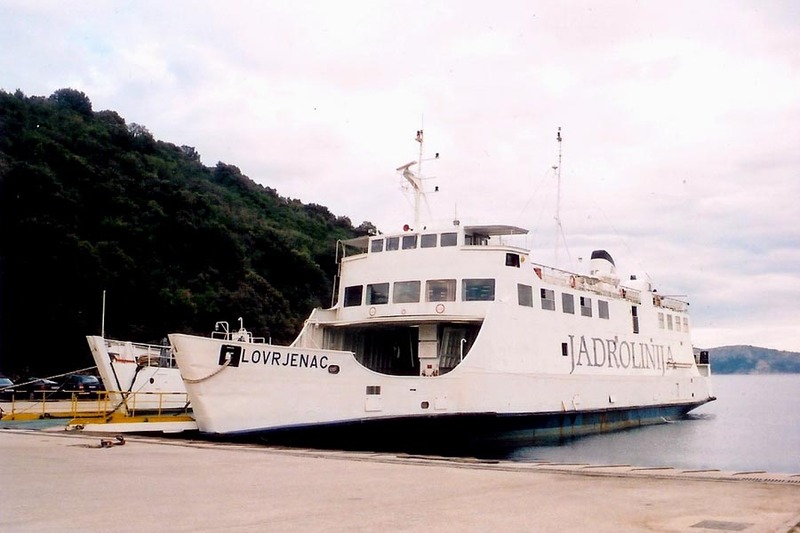 In 1975, Norris Castle (3) was rebuilt in Belgium as a drive-through ferry. 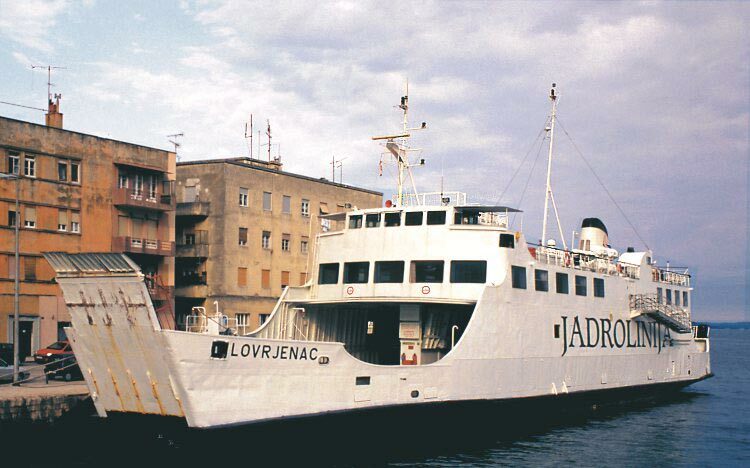 In 1994, Norris Castle (3) was sold to Jadrolinija, Rijeka,Croatia, and renamed Lovrjenac. 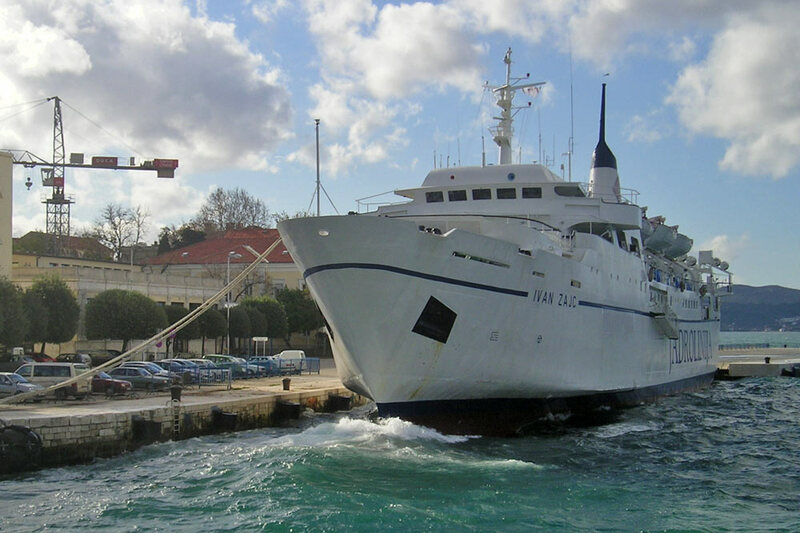 Cowes Castle was built by Thornycroft & Co, Southampton, in 1965, for the Southampton, Isle of Wight & South of England Royal Mail Steam Packet Co. Ltd. Cowes Castle entered service between Southampton and Cowes (Isle of Wight). 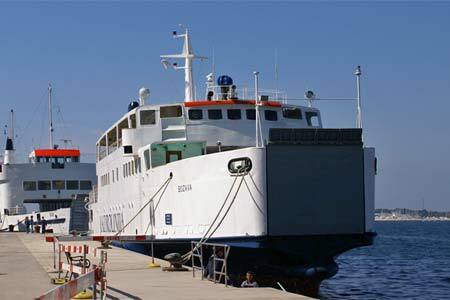 In 1975, Cowes Castle was rebuilt in Belgium as a drive-through ferry. 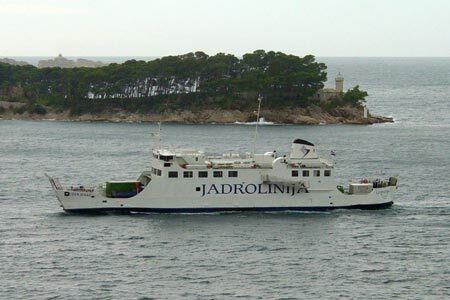 In 1994, Cowes Castle was sold to Jadrolinija, Rijeka, Croatia, and renamed Nehaj. Photo: &COPY; Egidio Ferrighi - Scan: Fakta om Fartyg. 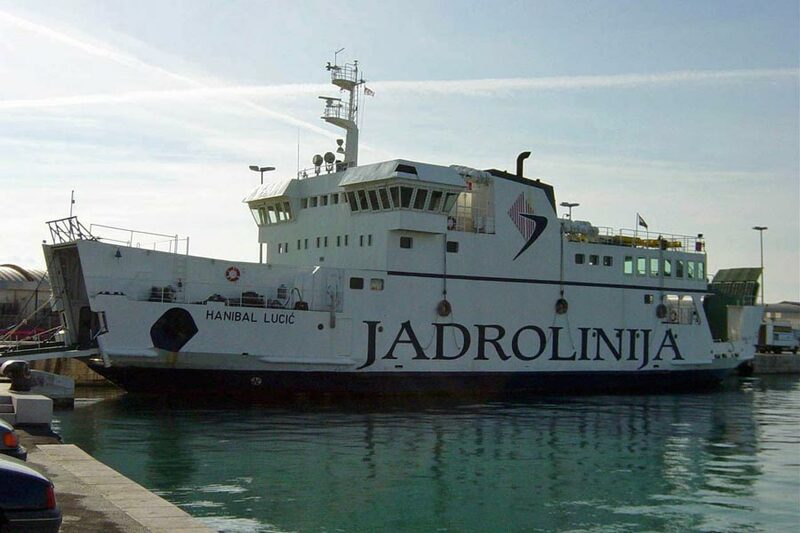 Hanibal Lucic was built by Rigas Kugu Remontova Rupnica in 1993 as Pramis-7. 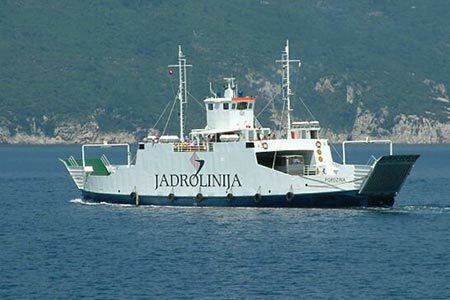 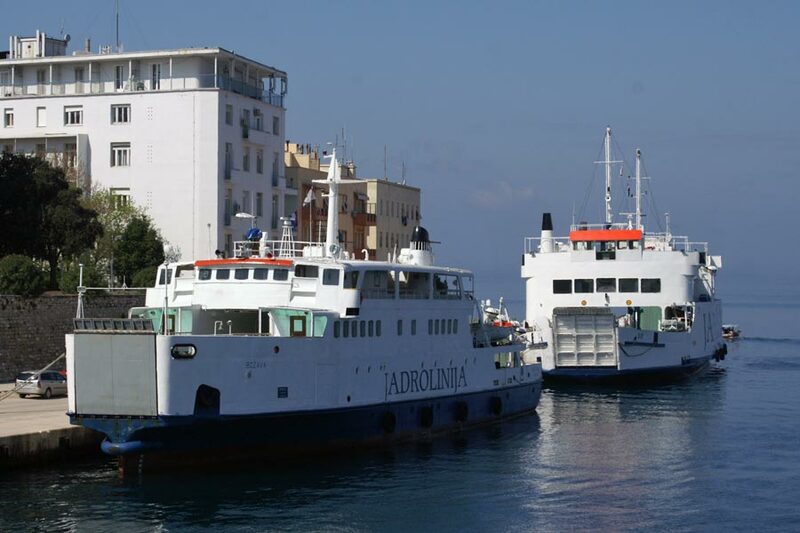 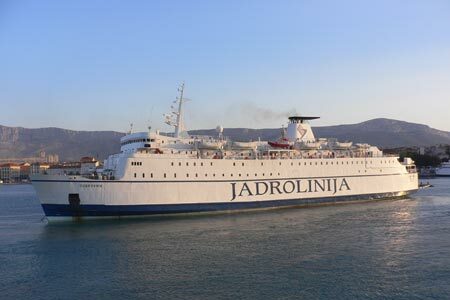 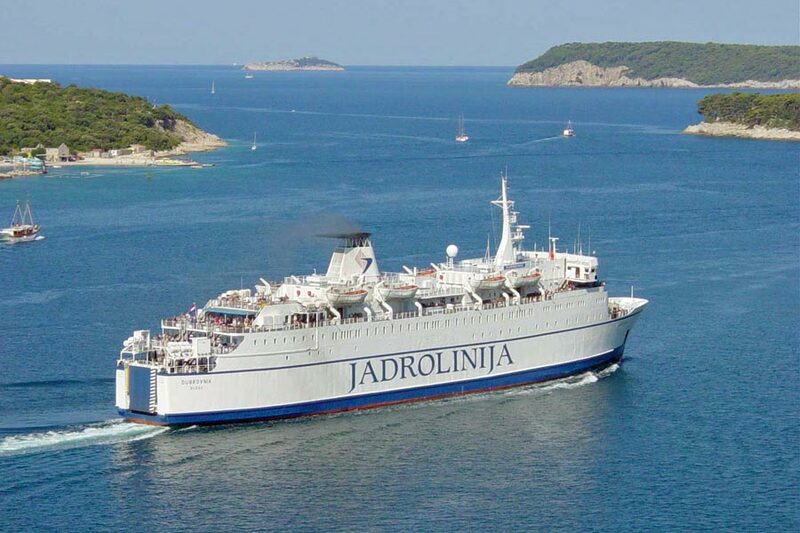 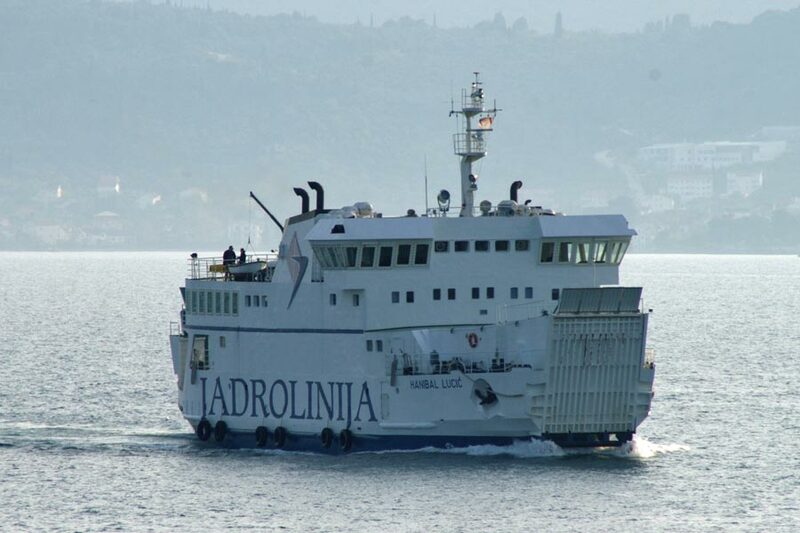 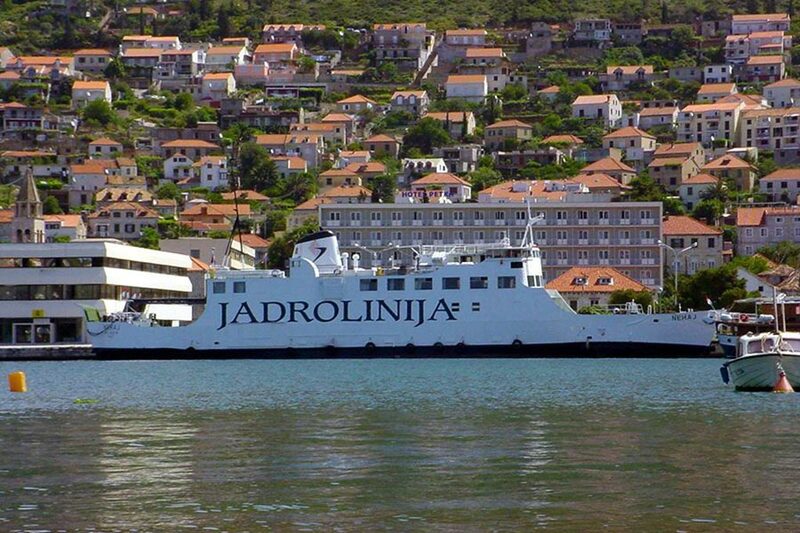 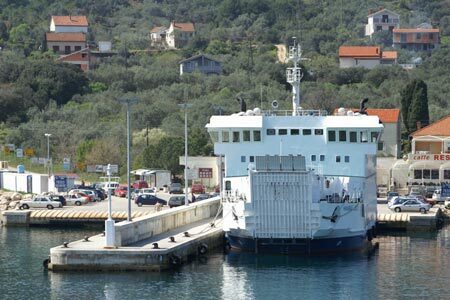 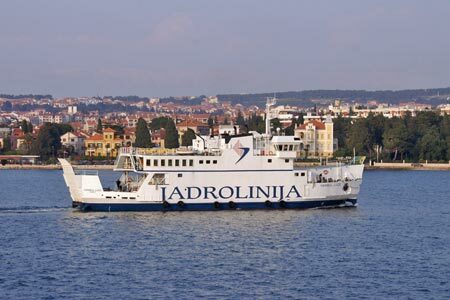 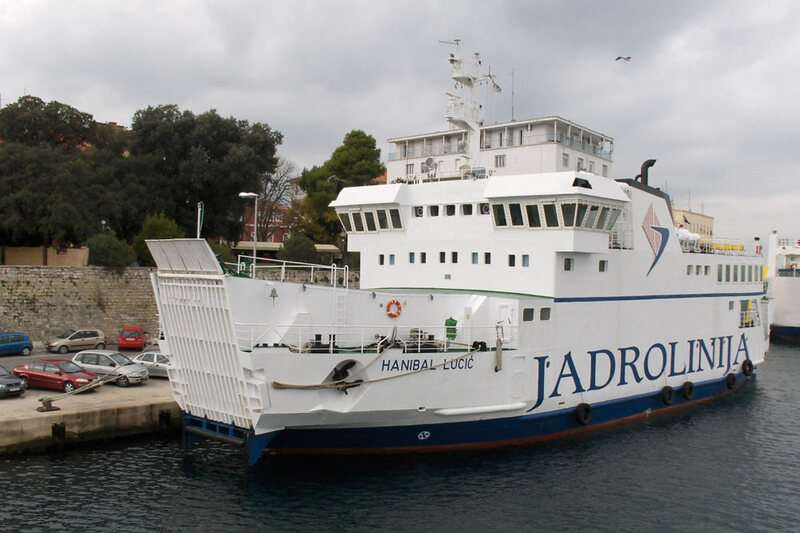 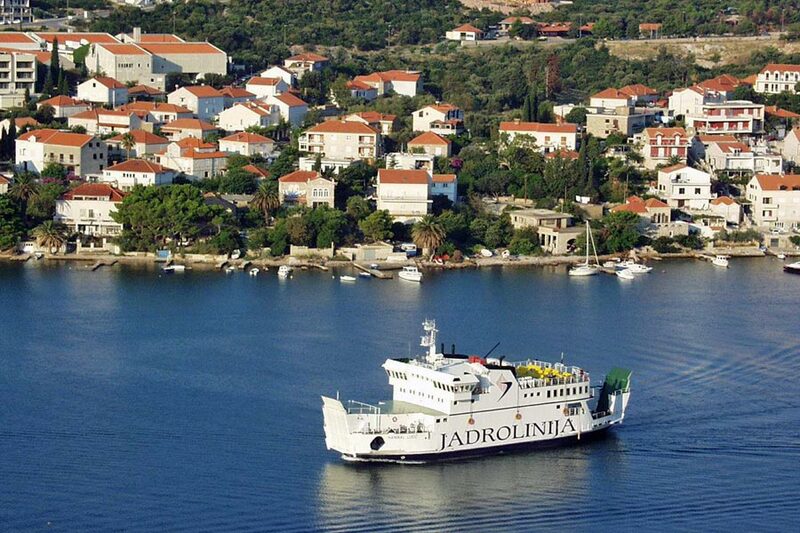 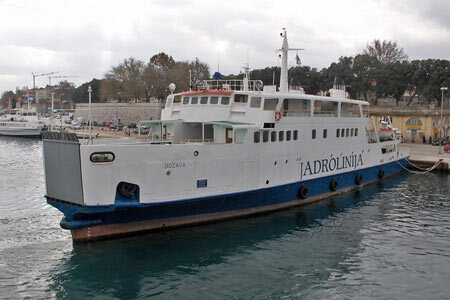 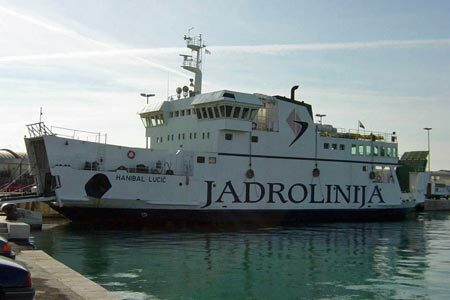 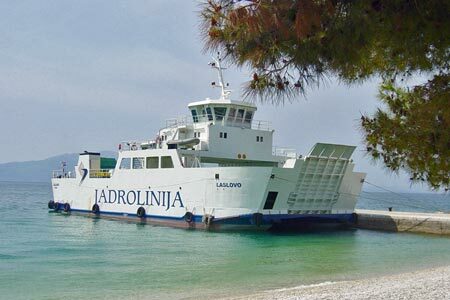 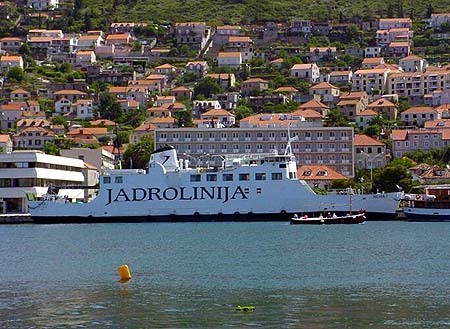 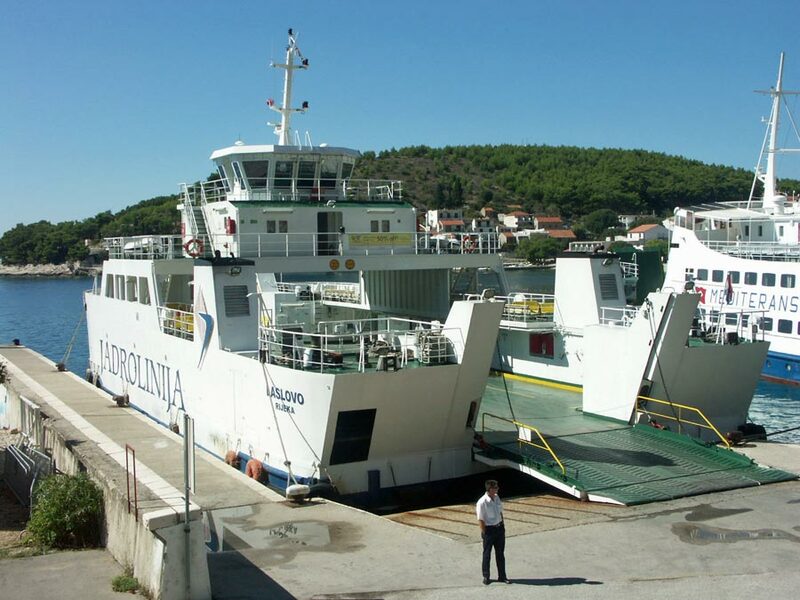 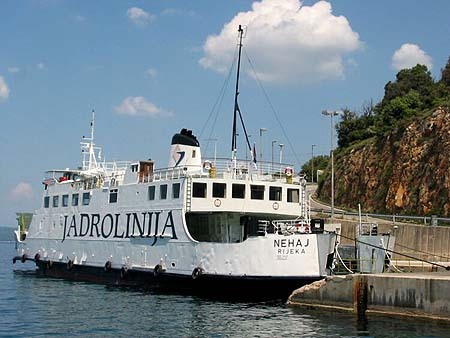 She was sold to Jadrolinija in 1995 and renamed Hanibal Lucic. 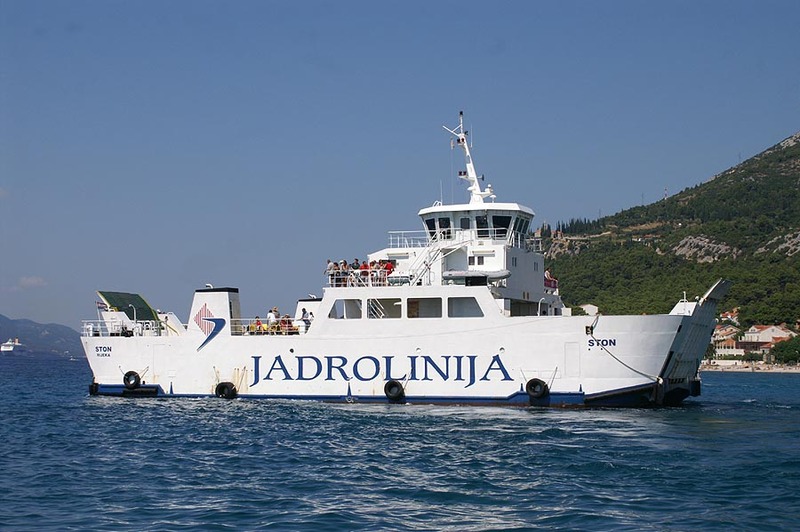 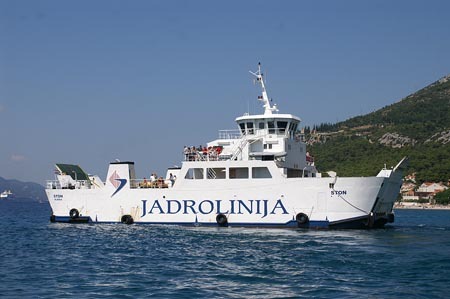 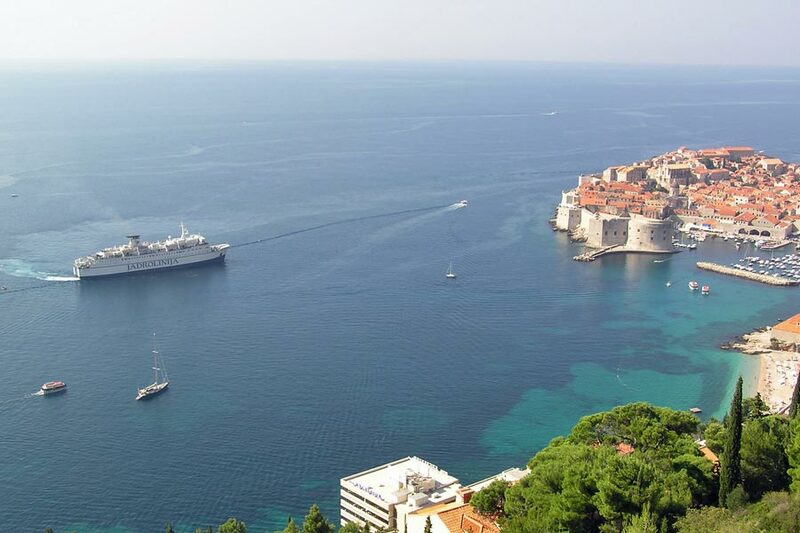 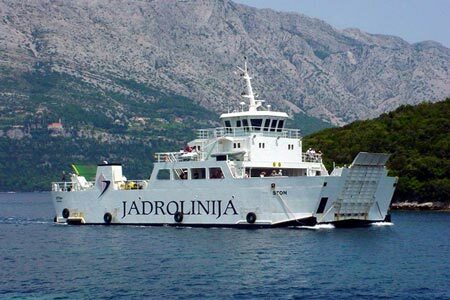 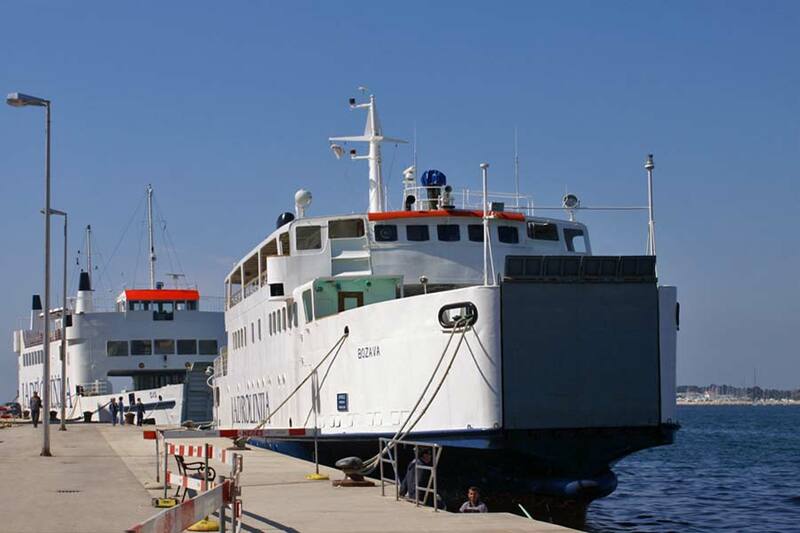 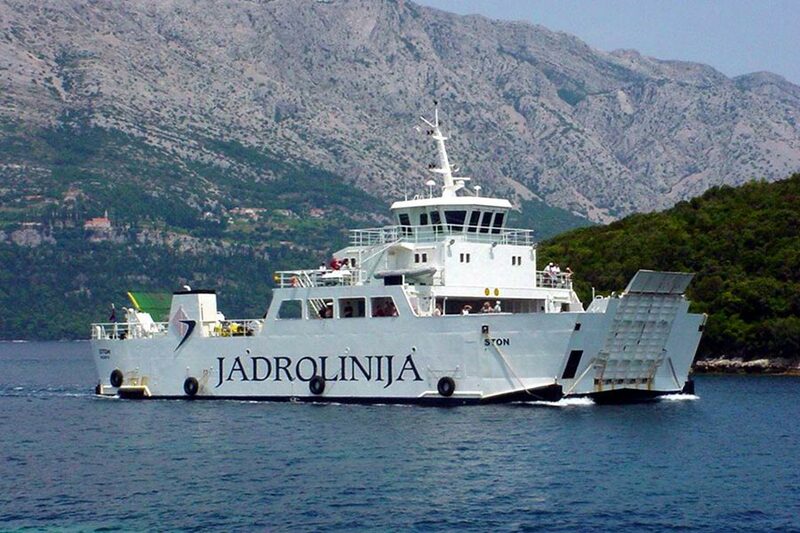 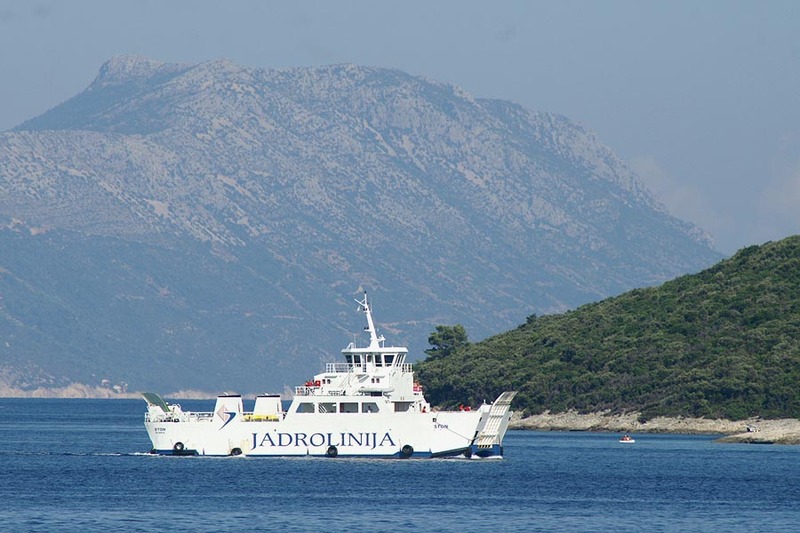 She has run services out of Dubrovnik, Split and Zadar. 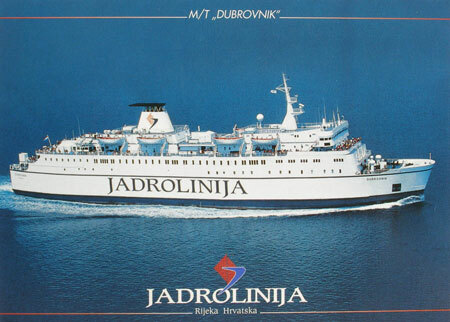 Dubrovnik was built as Connacht in 1979 by Verolme Cork Dockyards Ltd for B&I Line. 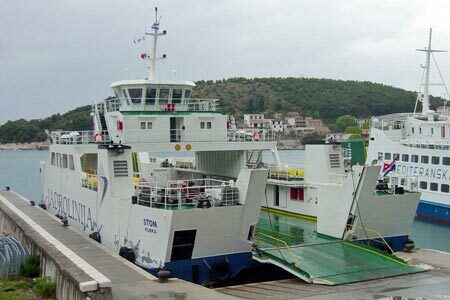 Connacht entered service between Cork-Swansea, soon transferring to Cork-Pembroke Dock. 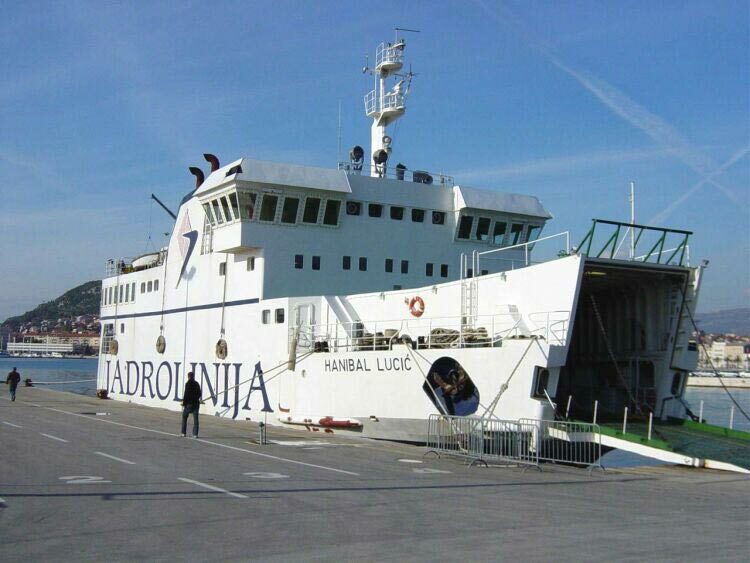 In 1980 Connacht swapped with Innisfallen (ex-Leinster) and moved to Liverpool-Dublin. 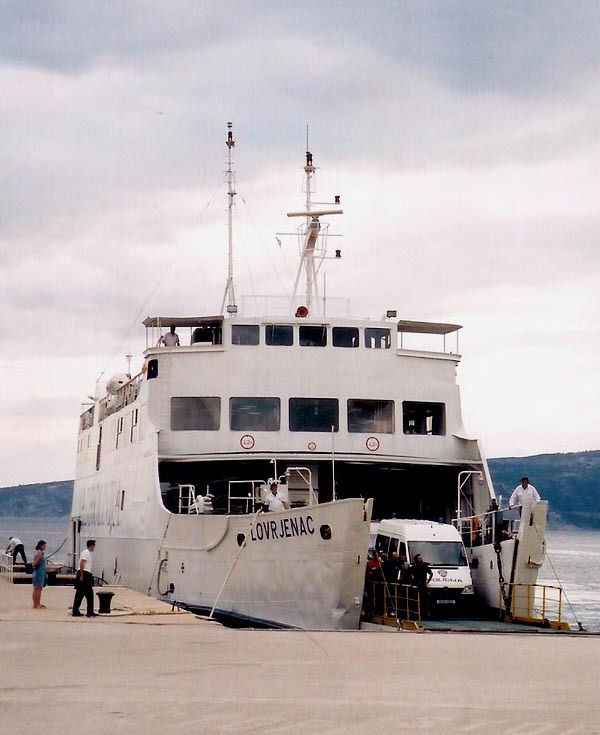 In 1988 Connacht was sold to Brittany Ferries as the Duchesse Anne, and served on various routes until 1996 when sold to Jadrolinija as the Dubrovnik. 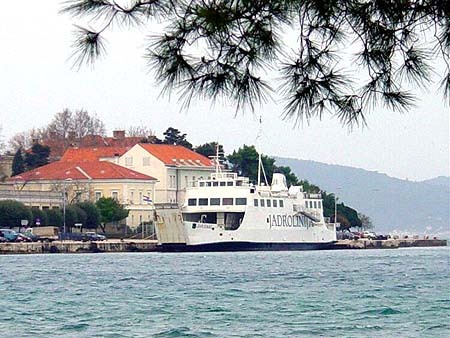 Netley Castle was built by Ryton Marine Ltd, Wallsend on Tyne, in 1974, for the Southampton, Isle of Wight & South of England Royal Mail Steam Packet Co. Ltd. Netley Castle entered service between Southampton and Cowes (Isle of Wight). In 1997, Netley Castle was sold to Jadrolinija, Rijeka,Croatia, and renamed Sis. 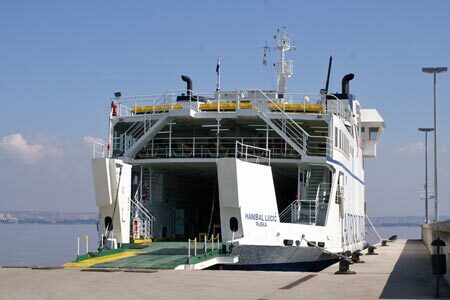 Photo: &COPY; Fleet File Rotterdam - Scan: Fakta om Fartyg. 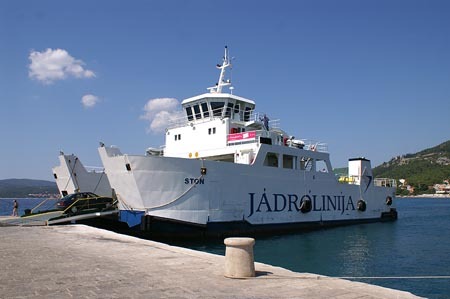 Kijevo was built by Brodosplit, Split, in 1997. Her sisters are Ston and Laslovo. 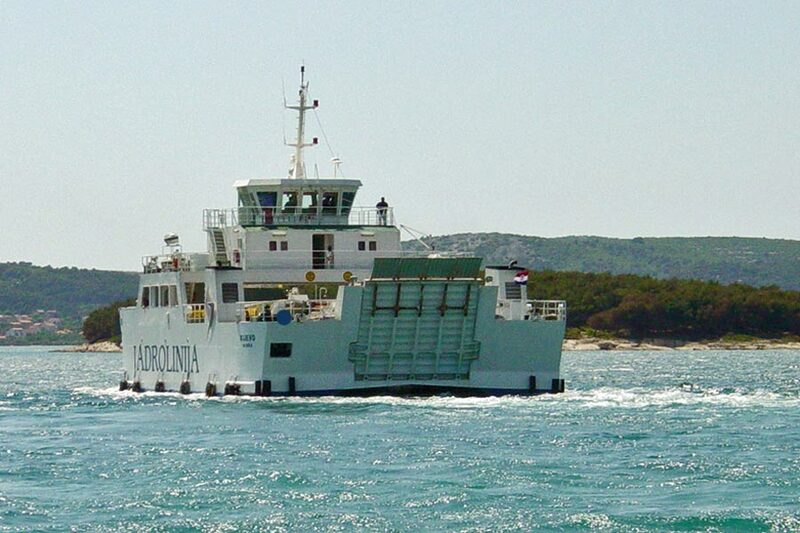 She serves between Biograd and Tkon. 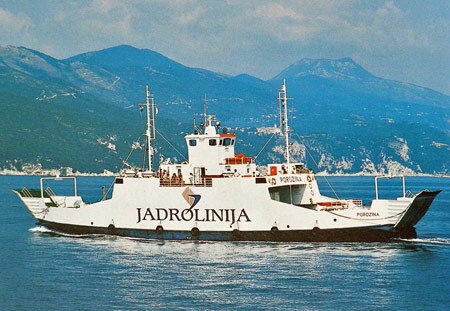 Ston (3) was built by Brodosplit, Split, in 1997. 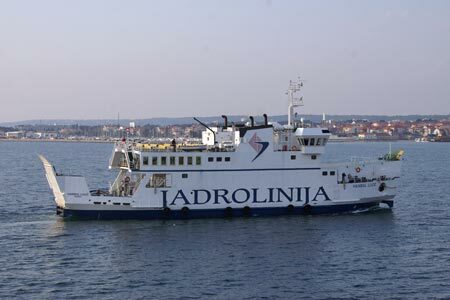 Her sisters are Kijevo and Laslovo. 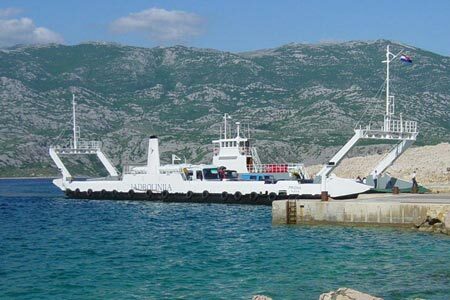 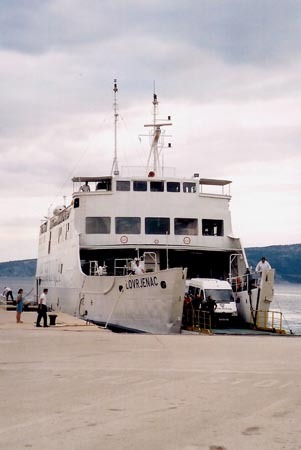 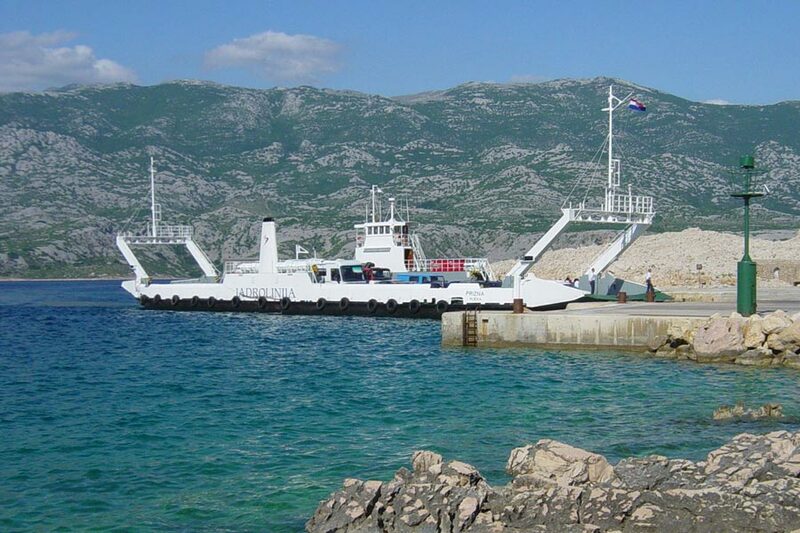 From 2002, she served between Orebic and Domince (Korcula). In 2003 she moved to Makarska-Sumartin, but was back on Orebic-Domince when I photographed her in August 2006. 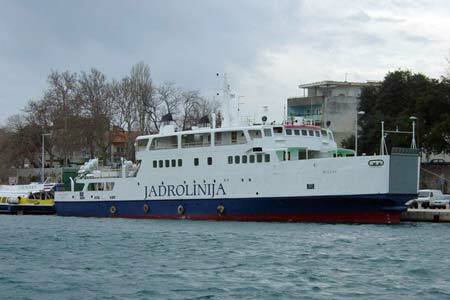 She ran this service jointly with the Zamosce of Mediteranska Plovidba. 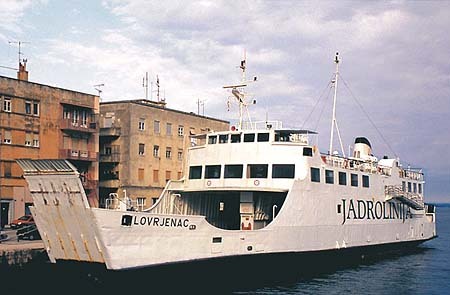 Laslovo was built by Brodosplit, Split, in 1997. 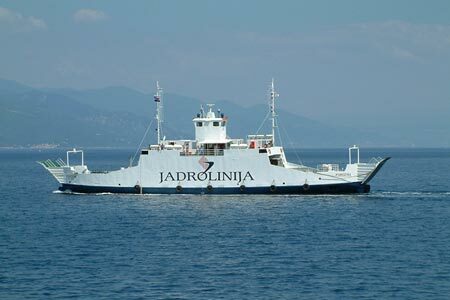 Her sisters are Ston and Kijevo. 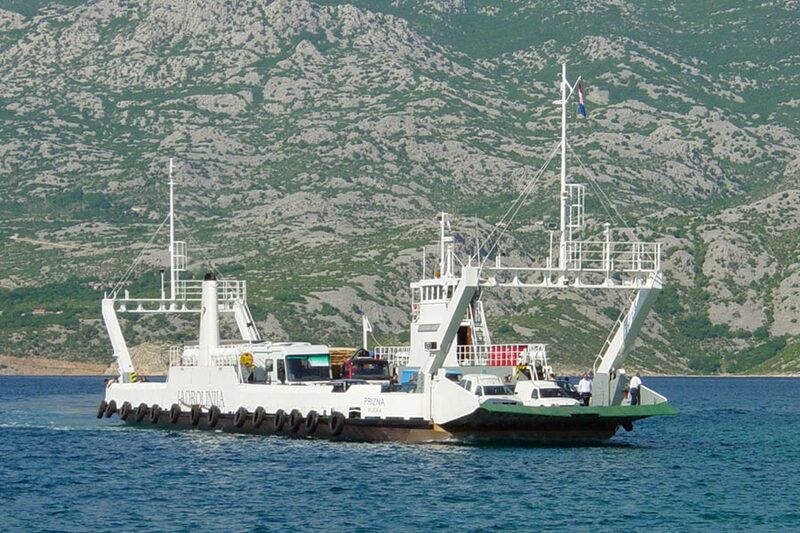 She serves between Drvenik and Sucuraj.